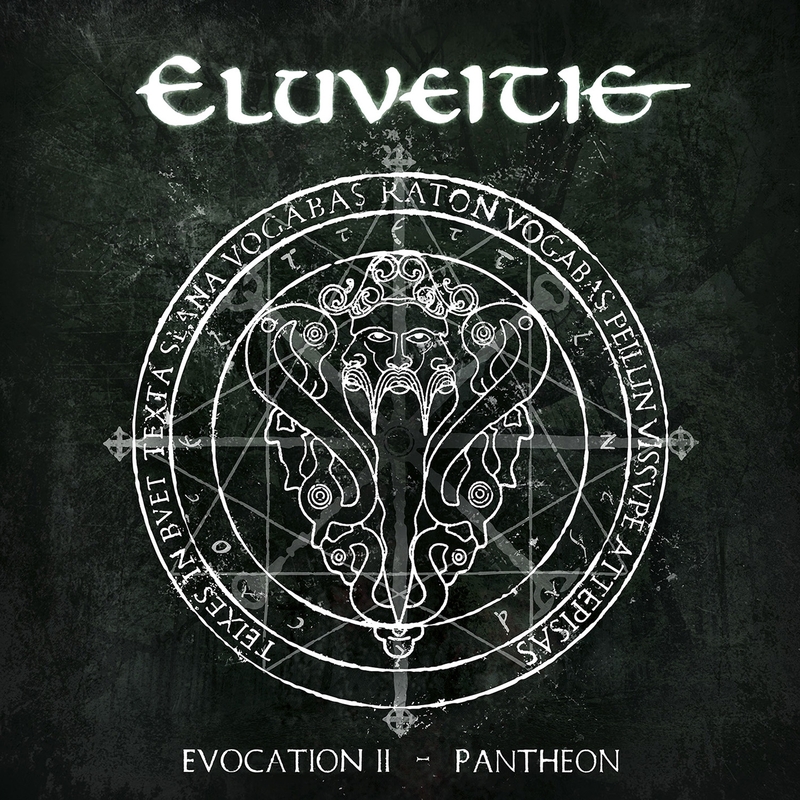 It isn’t very often that I will receive albums in a language other than English but when I was asked to review Eluveitie’s recent release, Evocation II-Pantheon, I quickly jumped at the opportunity to give this one the run through my speakers. I recently discovered this band after interviewing former members, who moved forward to create Cellar Darling. When it comes to my reviews most of the time, for me, it is about the lyrical content of the music more than the instrumentals, so writing this review was a bit of a challenge. The album is all in Gaelic, which made understanding the lyrics very difficult for me, but I do still have so much to talk about when it comes to this release. With powerful folk instrumental influences, Evocation II is a step forward in a new direction for Eluveitie. The folk influences have always been contained in the music, blended down with guitars and drums, but with this record the band placed those folk elements in the spotlight for them to shine through. The 18-track, 53-minute release contains some of the most powerful instrumental work that I have heard in a very long time. The mix of the sounds blend so perfectly together, creating an atmosphere of its own. What the album seriously lacks is the brutality of the vocals that fans of the band have become accustomed to, going for more of a Folk-Rock sound with less metal involved. The lack of the brutality doesn’t really hurt the sound in any way, it is still cohesive and full throughout the album. Eluveitie took a major risk with the creation of this album, the chance of alienating the longtime fans of the band is still a key element that will possibly lead the band to rethinking the sound of future albums, but all in all I think that Evocation II is a successful attempt by the band to experiment with their sound and create something new. The album is currently available via Google Play, iTunes, Spotify and YouTube. If you are a fan of traditional folk music you won’t want to miss this display of the genre at its finest.